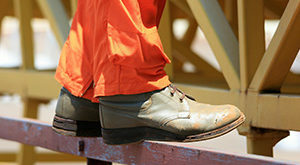 For many professions, steel toe footwear is a mandatory part of the uniform. While most people associate protective footwear with the construction industry and hard labor, they’re also worn by warehouse workers, police officers, security guards, and any other worker who needs some protection from workplace hazards. Usually, the go-to item for protection is steel toe boots. Unfortunately, these boots are not always ideal for every job. Boots can be quite heavy and bulky. It may not seem like a huge inconvenience at the beginning of the workday, but those extra pounds will certainly be felt when you clock out. So what are you supposed to do if you need a lighter footwear option? 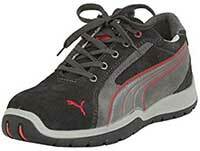 Steel toe sneakers offer a healthy balance between protection and flexibility. They’re much lighter in weight and allow you to make more agile movements. Their unique design can help you stay comfortable and safe no matter what your job may entail. Here’s a collection of some of the best steel toe sneakers that money can buy. These steel toe sneakers from Reebok offer both style and protection. They’re a skate-style sneaker with a flat sole.The sole is made of rubber and features a slip-resistant tread design to keep you stable. The material also offers protection from electrical hazards. Inside the shoes, steel toe caps offers plenty of protection from falling objects. The cap is carefully hidden underneath the sleek leather uppers. At first glance, you wouldn’t even know that these shoes offer any protective properties whatsoever. The Larnmern steel toe sneakers are available in a range of colors and styles. They feature uppers made of a breathable flyknit material. It can keep your feet cool no matter how hard you’re working. Over that, a reflective webbing is applied to increase your visibility at night. When it comes to safety, these sneakers have a durable steel toe and slip-resistant rubber outsoles. Inside, you’ll find molded EVA insoles. They’re contoured to provide you with optimal arch support and comfort throughout the day. Another great option from Reebok, these sneakers look like they would be more at home on a basketball court than on the job site. However, they’re hiding many protective features. The sneakers have a built-in toe cap that meets ASTM safety standards. There’s also a slip-resistant rubber outsole that offers electrical hazard protection. The uppers are made out of Oxford fabric and comfortable mesh for improved air circulation. The insides of the sneakers have an EVA midsole and FootFuel comfort technology. Puma is a brand that’s known for creating high-quality sneakers fit for elite athletes. They have taken all of the great design elements that made their shoes so popular and added safety features that can keep you protected on the job. The Dakar safety sneakers have steel toes that meet ASTM standards. The outsoles are made of rubber and utilize a slip-resistant design. They’re also heat resistant and static dissipative. The uppers are made of stylish suede. The midsoles and footbed are carefully designed with two different types of foam for all-day comfort. These steel toe sneakers from New Balance have a stylish look. You could easily wear these shoes when you get off the clock. No one would even know that they have a durable toe cap inside. In addition to toe protection, the shoes are static dissipative. They also have a slip-resistant sole made of rubber. The uppers are made out of lightweight synthetic material. Despite its light weight, the uppers are quite durable thanks to multiple panels and reinforced stitches. When you put these sneakers on, your feet will rest on cozy ABZORB cushioning, which can help to reduce foot fatigue. Safety shoes have come a long way in recent decades. Some of the industry’s leading brands have come up with innovative designs that are built to meet the needs of all types of workers. Sneakers are one of the latest trends to gain some traction. Sneakers are a tried and true accessory. They’re comfortable, easy to wear, and offer a better range of motion than standard boots. Traditional work boots can be quite cumbersome. Not only are they significantly heavier, but they’re often comprised of more layers, higher uppers, and rigid soles. If you spend your day doing tough work, the last thing you want to be doing is dragging along heavy boots. 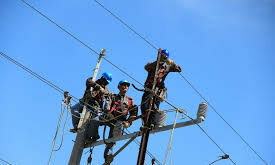 That is why more and more workers are opting to go with safety sneakers. Manufacturers noticed this trend and started to include many of the same safety features you find on boots into lightweight sneakers. Steel toe sneakers are built with the same purpose in mind: to keep your feet protected. They have a thick toe cap and can come with a number of other safety and comfort features to ensure that you’re protected from all the hazards you face. However, in addition to all that protection, you get the added perks of reduced fatigue and more flexibility. Sneakers were originally designed for sports and athletic activities. As a result, today’s steel toe sneakers let you move your feet naturally as you go about your workday. Whether you need to run to your next work site or you have to carefully maneuver around heavy equipment, a solid pair of steel toe sneakers will have you covered. 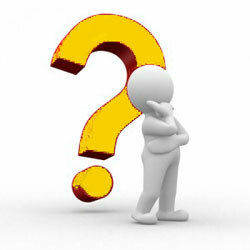 When you’re shopping for a pair of steel toe sneakers, there are a lot of things you ought to consider. Safety should be your top priority. 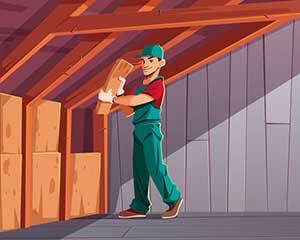 You need to think about your particular job and any potential hazards you need to be protected from. If you were to accidentally drop a heavy piece of equipment, a steel toe cap can help to ensure that you walk away unscathed. These sneakers feature a durable shell that surrounds all of your toes. Oftentimes, the cap is integrated into the uppers or within the interior lining. Sneakers are also available with other forms of protection. Some have a built-in puncture plate to keep the bottom of your foot protected. Others have an integrated metatarsal guard, which helps to prevent the top of your foot from being crushed by heavy objects. Think about your job and choose the appropriate safety features you need. Sneakers can be distinguished by their athletic design. 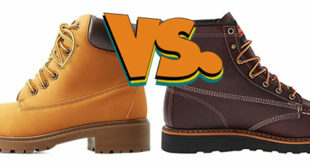 The biggest difference between steel toe sneakers and steel toe boots is the lack of bulky uppers that extend past the ankle. Sneakers typically cut off below the ankle so that you have a better range of motion. They don’t limit your movement, allowing you to run, job, and jump with ease. Whether you work indoors on smooth concrete floors or out in wet terrain, it’s always good to have sneakers that offer plenty of traction. Slip and fall accidents are very common due to poor sole designs. To avoid injury, look out for steel toe sneakers that have an anti-slip sole. They can be characterized by distinct grooves and lugs that are capable of redirecting water away from key pressure points on your foot. These types of soles have better grip, helping you stay stable on slick surfaces. By nature, steel toe sneakers are going to be heavier than traditional shoes because of the cap. To counteract that added weight, you can choose sneakers that are made of lightweight materials. Manufacturers utilize materials like polyurethane, calfskin, and synthetic leather to reduce bulk and keep things comfortable. Many sneakers also incorporate breathable fabrics. In addition to being very light, these materials can promote air circulation inside the shoes to keep you cool. With that being said, you need to make sure that that the sneakers’ reduced weight doesn’t come with the sacrifice of quality. 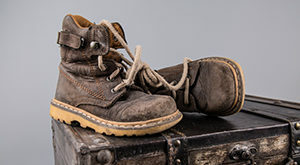 Steel toe sneakers should be able to last for quite some time before they need to be replaced. Scrutinize the build quality and materials to ensure that the sneakers offer lasting durability. Last, but not least, you should be looking for sneakers that are comfortable to wear. If you’re going to be on your feet all day, great comfort features can make all the difference. Thick midsoles with firm arch support are ideal. They can absorb some of the pressure that travels up your foot with each step. Padding is also a good idea. Soft cushions inside the sneakers can prevent chaffing while supporting your foot from every angle. You don’t have to settle for bulky work boots if you need toe protection. Safety toe sneakers combine the best of bost worlds. They let you stay safe on the job while giving you the comfort and flexibility you need to keep moving.